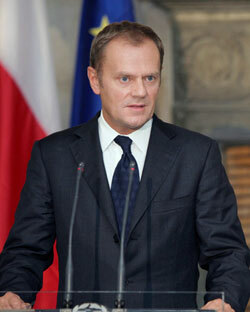 Poland´s Prime Minister Donald Tusk, Poland will join the Fiscal Pact. The conservative opposition rejects this step. The vote will take place in February. Poland´s Prime Minister Donald Tusk announced that the accession will allow Poland, which is no Eurozone member country yet, to become a “full member of the EU”. Besides that, Poland´s government intends to join the Eurozone until 2017. This article includes a total of 98 words.